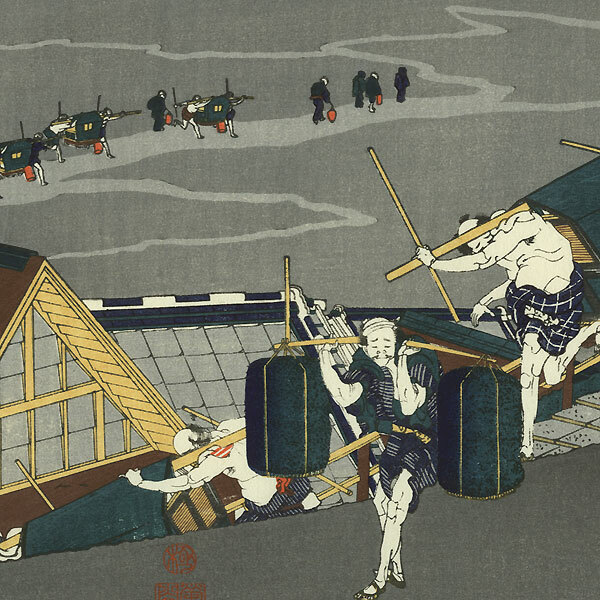 Oedo Mokuhansha - These classic designs were produced by the well known Tokyo publisher Oedo Mokuhansha amidst a resurgence of interest in ukiyo-e in the early 1950s. 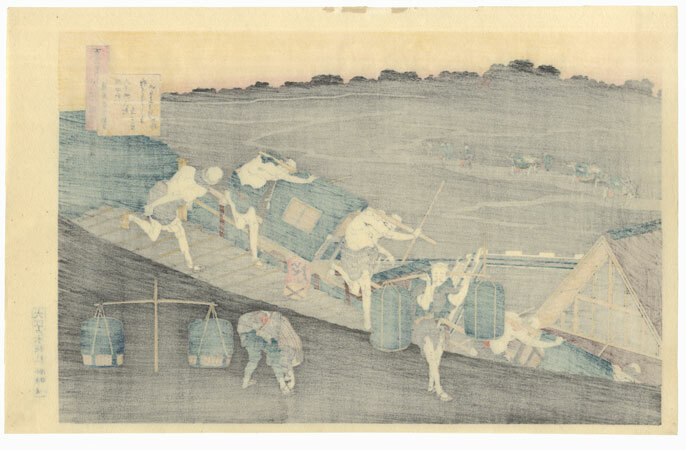 Like many of these traditional businesses, the woodblock print craft was passed down through generations, and the Oedo Mokuhansha company was formed by descendents of an Edo era publisher. 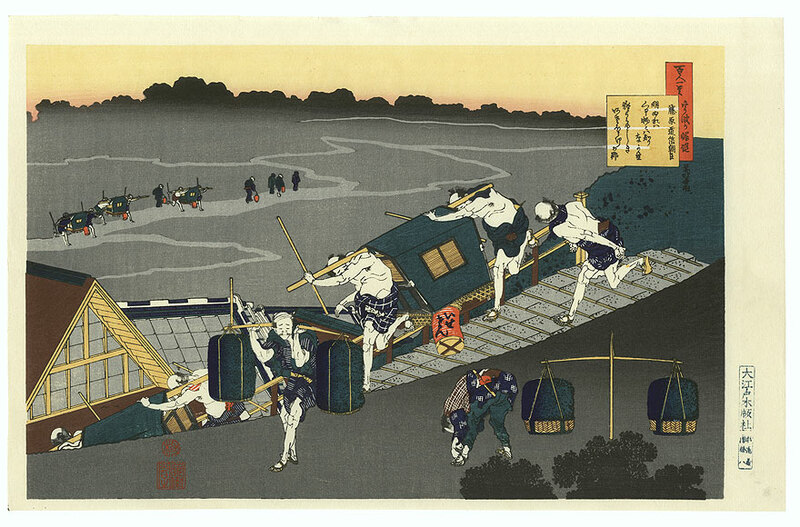 These are nice prints of the highest quality standards and an excellent choice if you are looking for fine old woodblock reprints. Nicely detailed with fine bokashi shading in the sky and ground. The publisher has applied a light tan wash to the paper to simulate an aged appearance. Condition - This print with excellent color and detail as shown. Slight paper remnants on reverse at top edge from original publisher mounting. Light smudge in margin, a couple creases at edges. Please see photos for details. Good overall.